On the 1st of June, the Mkhondo Local Municipality welcomed a new Municipal Manager in office. Mr Kunene grew up in Tjakastad in the Chief Albert Luthuli Local Municipality (Carolina). His mother originates from Amsterdam and four of his aunts still stay there. He started with his Bachelor of Science Degree in 1999, majoring in both Biochemistry and Microbiology. In 2002 he completed his BSc Honours in Microbiology. He obtained both degrees from the University of Zululand. He has a Diploma in Human Resource Management from Oxbridge Academy, a Diploma in Train Driver Duties from the School of Rail, a Certificate in Labour Relations from UNISA, a Certificate in Municipal Finance from Regenesys Business School and a Certificate in Safety Management (SAMTRAC) from NOSA. Currently, he is working on his dissertation for his Masters of Business Administration. It is titled: Assessing performance management systems and its impact on employee motivation: A case study of the Gert Sibande District Municipality. He is currently doing this degree at the Regent Business School. Mr Kunene started working at Transnet as a train assistant in 2004. In 2007 he became a train driver and in 2009 he was promoted to Manager of Fleet and Auxiliary. In 2010 he became a Human Resource Manager and in 2013 he started working at the Gert Sibande District Municipality as the General Manager of Community and Social Services. 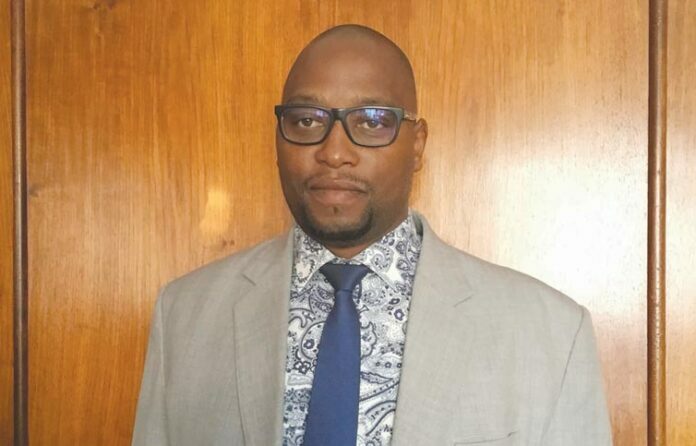 Even though he was told that the Mkhondo Municipality is at the brink of collapse, his sentiment towards the area made him decide to accept the position as Municipal Manager, as he feels he can truly make an impact here and help turn the municipality’s situation around. He wants to make a difference in the living condition of the poor and needy in the community. If the municipality can deliver basic services to the community, cut on unnecessary expenses and increase their revenue, the situation can be salvaged. As a Municipal Manager, he feels it is important not to become a politician. He is the head of an administration and should give honest support and advice to those by whom he is employed. He works closely with the municipality’s political leaders to create viable ways to make their promises to Mkhondo a reality. For him it is important to address a situation before it becomes a big problem. He says this is one way in which uprisings can be avoided. He hopes to create a Customer Service Unit which will help community members keep track of the headway made to address their complaints. He wants to help the municipality to get to a place where all problems are solved within 48 hours, and if there is a delay, it should be communicated to the customer to keep them informed of what exactly the situation is. We wish Mr Kunene all the best during his time in office and we hope that he will be able to help make Mkhondo a better place for everyone. Previous articleB.F.F – Be Fearlessly Free! What a Mess in Church Street!